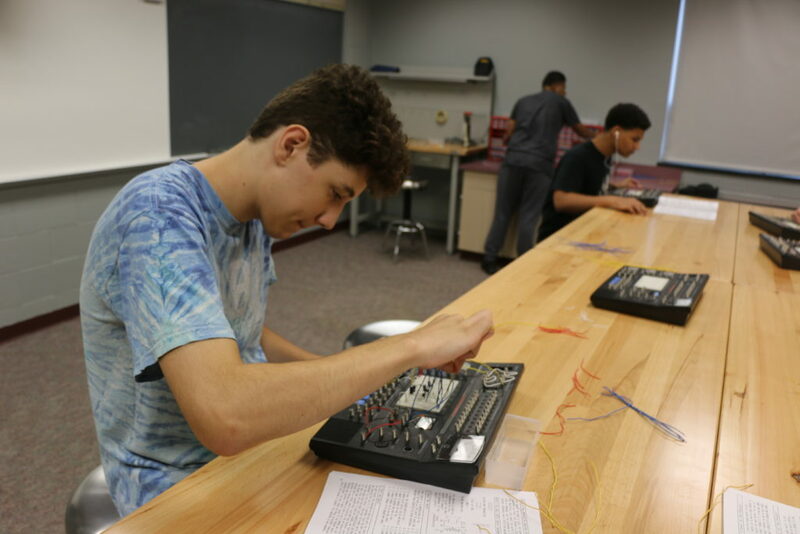 High school student Jesse Heaton looks closely at the textbook next to him before carefully connecting a wire to a circuit board, then flipping a switch to determine if he’s done the procedure properly. He is turning a small device into a microphone. This hands-on exercise is one of many being performed by Hanover High School students in a newly formed mechatronics class. The class is part of an initiative to give students experience in fields with major career potential, and ones that boast high-demand local jobs offering family-sustaining wages. 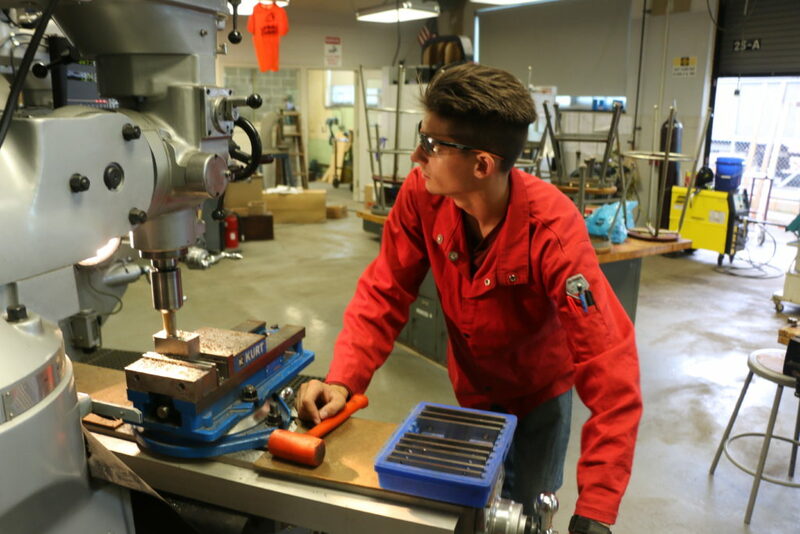 According to David Harnish, career counselor at Hanover High School, this program is one of the few — if not the only — mechatronics curriculums offered by a school district in Pennsylvania. Upon successful completion of the class, students receive credits for a local community college or industry certification. Jesse Heaton is a student in Hanover High School’s first-ever mechatronics class. The six specialty classes the district has created over the past six years have been strategically planned with assistance from industry leaders and local business groups. Superintendent Dr. John A. Scola purposefully engaged the business community to bridge the gap between education and industry. Hanover’s cutting-edge approach has not gone unnoticed. Their welding program was recently featured in a national industry publication, and various state officials in Governor Tom Wolf’s administration have paid visits to the school to learn how the results can be replicated across the Commonwealth. According to Ramsay, the Hanover Chamber of Commerce was the first chamber in Pennsylvania to sponsor a registered apprenticeship and pre-apprenticeship program. The advent of the NIMS program dovetails nicely with the recent launch of the Wolf Administration’s PAsmart program. One component of PAsmart includes a $7 million increase in apprenticeship program funding. The initiative passed with the 2018-19 budget and became a permanent budget line item. Hanover High senior Mike Minetos says the NIMS program has given him a career option while also teaching him some valuable lessons. The first class developed in cooperation with the local business community was the State Department of Education-certified Welding Technology Program. Students must log over 720 hours of welding instruction and pass the NOCTI Welding exam. 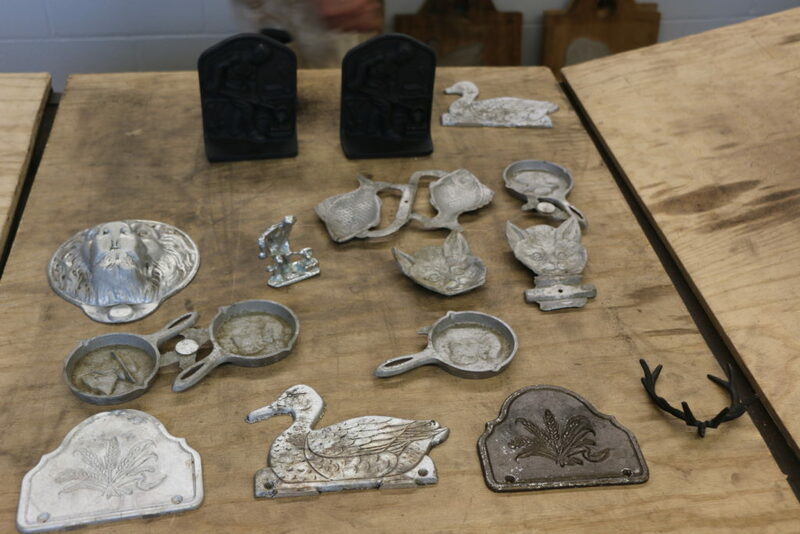 The welding program was slow to take off, but has grown in popularity as word of mouth spread through the student body. Senior Lakota McMillin and junior Meghan Stremmel have decided to pursue welding careers. McMillin already has an offer of employment after she graduates and will become a welder apprentice at her new job. “It feels good to know that I have a secure future and that I don’t have to worry about finding a job after I graduate,” she says. Hanover High senior Mike Minetos carefully aligns the machinery to cut a piece of metal. The investment the school district makes in the future of its 1,800-member student body actually begins in kindergarten, where soft skill lessons begin. By the seventh grade, they enter the Visionary Individualized Planning Process (VIPP) program and are encouraged to start thinking about a potential career. At this time, students begin taking field trips to area colleges and local employers to gain valuable exposure to potential careers. For Utz Quality Foods, the introduction of mechatronics at the school was another step in a longstanding partnership with the school — and a way to address an aging workforce. Utz also sponsors mechatronics at the post-secondary level. Three weeks in the mechatronics class has provided valuable insight into a career in electrical engineering for Heaton. JAMES MENTZER is a Harrisburg-based freelance writer and author of two books, Pennsylvania Manufacturing: Alive and Well and Bucks County: A Snapshot in Time.